We show that the instantaneous barrier tunneling for an incident wave packet whose support exists only to the left of the barrier, computed using Weyl quantization, also holds true for Symmetric and Born-Jordan quantizations. We also construct the time of arrival (TOA) operator across a potential well for a localized wave packet and obtain an expression for the corresponding well traversal time valid for the three quantizations. D. A. Pablico and E. Galapon. 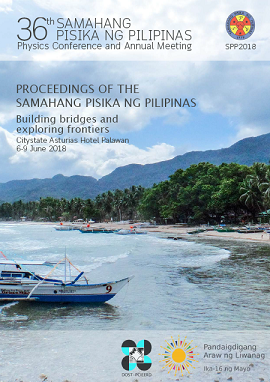 Generalizing barrier tunneling and well traversal times, Proceedings of the Samahang Pisika ng Pilipinas 36, SPP-2018-PC-11 (2018). URL: https://paperview.spp-online.org/proceedings/article/view/SPP-2018-PC-11.